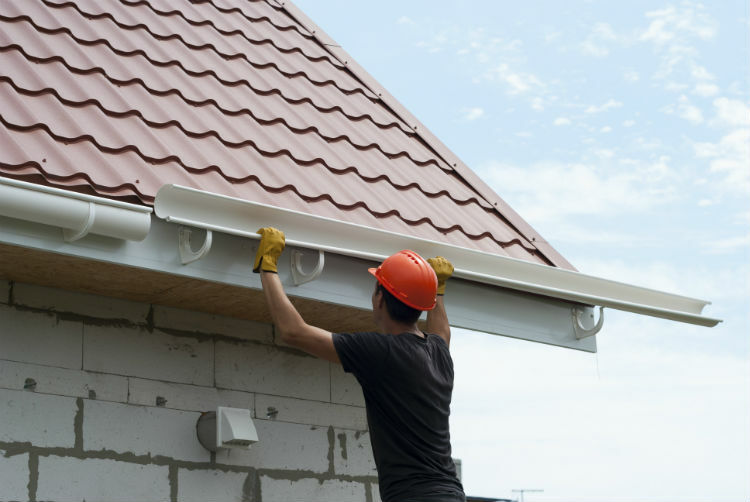 Your home’s gutters are often out of sight and out of mind—at least when they’re working properly. But when they need repair or replacement, watch out! Every year, water damage and foundational issues cost homeowners thousands of dollars in repairs. And though some people may not realize it, many of those costly issues can be prevented if you keep your gutters in great shape. Well-maintained gutters play a vital role in ensuring that your home remains attractive, protected, and easy to maintain. They direct rain and melting snow and ice safely away from your home, which helps prevent erosion and other moisture damage. They protect your home from roof and basement leaks, mold, rust, foundation cracks, and other issues that can drive down your home’s value and leave you dealing with costly repairs. That’s why securely installed, functional gutters are so important—they’re an essential line of defense in maintaining a home exterior that looks stunning and lasts for many years to come. Here are essential gutter issues to watch for, and a few solutions to consider if your gutters need some TLC. Some gutter issues are obvious—such as trapped leaves and debris—and may be as simple to address as climbing a ladder and clearing out the clogs. But other issues may require repairs or replacements. — Rain should only drain from downspouts. If rainstorms are creating waterfalls from your roof, your gutters may be clogged, cracked, or otherwise damaged. — Basement floods, leaks, and mold growth are often caused by faulty gutters that fail to drain water away from your house. — Cracks or worn areas in the foundation can be a sign your gutters are not directing water safely away from your home. — If your gutters are retaining water instead of draining it, they need some attention. — To drain water properly, gutters must be securely installed. They need repair if they are sagging, hanging loosely, tilted instead of level, aren’t connected at the seams, or are dropping nails and broken fasteners on the ground. — Multiple cracks, bends, rust, and other visible damage can mean it’s time for new gutters. At the very least, repairs should be made. — This can signal that your gutters are failing to do their most important job — preventing standing water, excess moisture, and mold from forming around your home’s foundation. – You may not realize it, but peeling paint, corroded siding, rot, and rust are all signs that water is damaging your home’s exterior, and your gutters may be to blame. — Your gutters should be aligned to send water away from landscaping, rather than causing plants to wash away, roots to come loose, or mud tracks to form in flowerbeds. — This is a good option if your gutters are relatively new and have just a few small leaks in them. — Hangers can help secure your gutters in place. — Splash guards are a popular attachment for giving your gutters increased ability to handle heavy rains. — If your gutters are draining properly but the water is still ending up too close to your home’s landscaping, gutter extensions can be added to direct the water away. For many homeowners, the thought of climbing a ladder to clean out clogs, check for pooling, seal cracks, and do other gutter maintenance is unappealing. Fortunately, there are professional roofing companies who offer assistance with gutters. At John McCarter Construction, our expert, detailed exterior home improvement team is happy to assist homeowners in the Detroit metro area with services that give you a truly low-maintenance, attractive, long-lasting home you can enjoy, and that will impress everyone who sees it. Call us anytime at 248-446-1750 for a free consultation.